The capital of Tennessee. 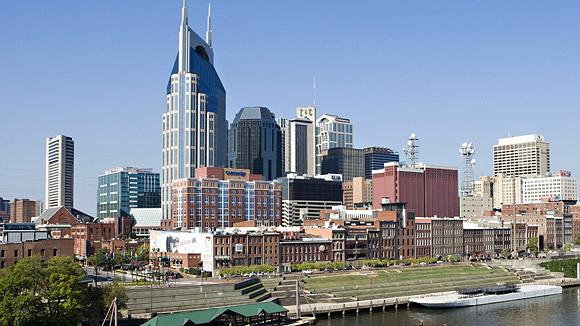 It is sometimes called the "Country Music Capital of the World" or more often "Music City, USA"; however, in recent years, Nashville has done much to escape its country music image and become a regional center of culture and commerce. In fact, Dell, Nissan, and Saturn have all moved some operations to or near the city. For those looking for an active nightlife spot, Nashville delivers and then some. Music such as rock, blues, country, gospel, and jazz are here in plenty. The clubs are filled with famous singers and musicians, and many times they end up on stage sitting in with the band. Songwriters are something of a Nashville legend, and any night they can be found singing their hearts out in one of hundreds of dive bars across the city. They are the reason Nashville is known by the nickname Music City USA. If you're interested in Nashville, please email your resum� with an introductory letter to to Dayna Lynn at dlynn@fsgltd.com or fill out the form below.